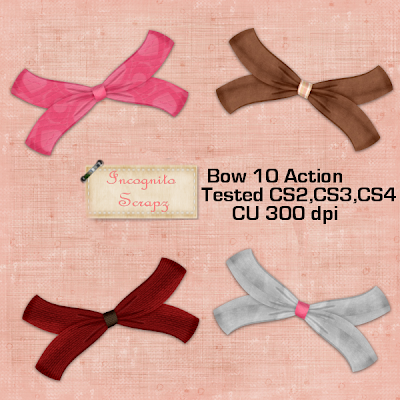 This action makes a cute little bow in your choice of colours or patterns. Incognito,this little bow is beautifull.Good work. Im following you sweets! And your blog is sooooo beautiful!